Centrum Hostel Baku v Baku, Ázerbájdžán: Zarezervujte nyní! Your stay at our hostel will provide you extra advantage of having few minutes of walk distance to any significant place in Baku. 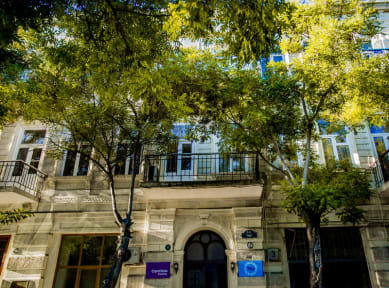 The Centrum Hostel Baku (Molokan Garden) is at the Baku City center, and close to the public transport such as metro (subway), also in a few minutes of walk to the main activities for families or solo travelers. Also our Hostel may be a perfect solution for solo travelers/for the budget business trips, families (children) and is suitable for large groups. 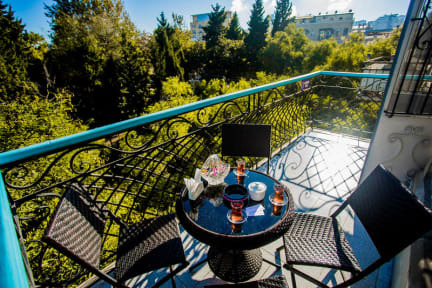 Centrum Hostel Baku (Molokan Garden) is located at the very heart of Baku City. With the perfect location our guests can easily get to any sightseeing in Baku. Nearby you may find McDonalds, Hard Rock Cafee and dozens of several different type of brasseries, cafes and restaurants. Theres an internet cafee on the ground floor right next to the Hostel entrance. İn case if our guests are interested in shopping then the next building is Khagani Mall and you may find approximately all brands while walking the area around. Only 5 to 10 min of walk you may need to see Old Baku - Inner City (Iceri Seher). At the evening you may prefer to walk alone the Caspian Sea Boulevard which is very popular by its parks, cafe's and many other attractions. Customers younger than 18 years of age can check in only with parents/guardians. The best hostel I have ever visited! Excelent value for the money, helpful staff, great location. They even provide slippers!